Text Reference Number puck4 What’s this? 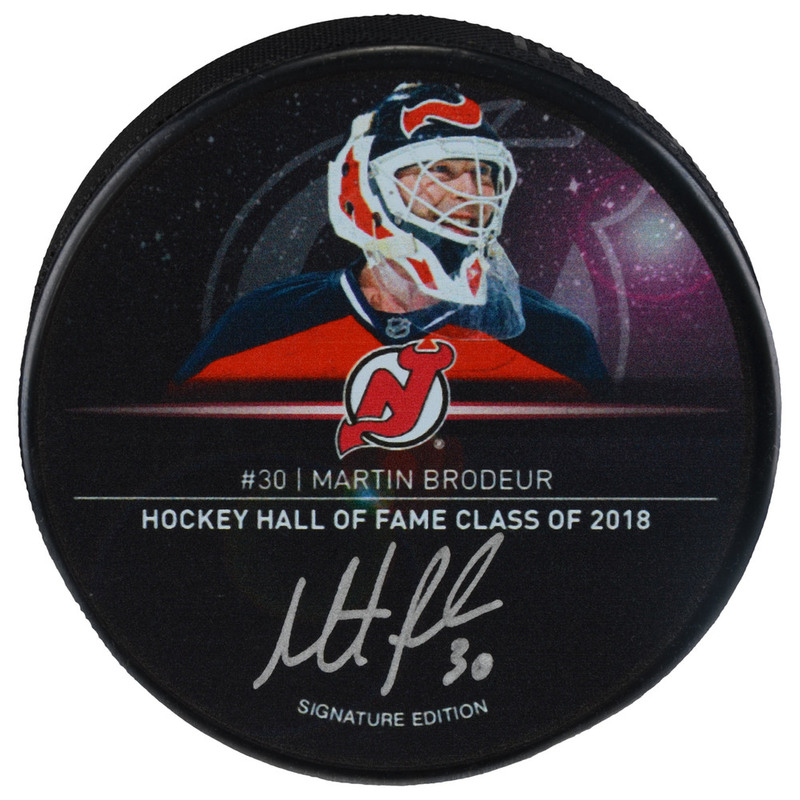 This puck has been personally hand-signed by Martin Brodeur and features a picture of Brodeur on the front with Hall of Fame Class of 2018 printed underneath. 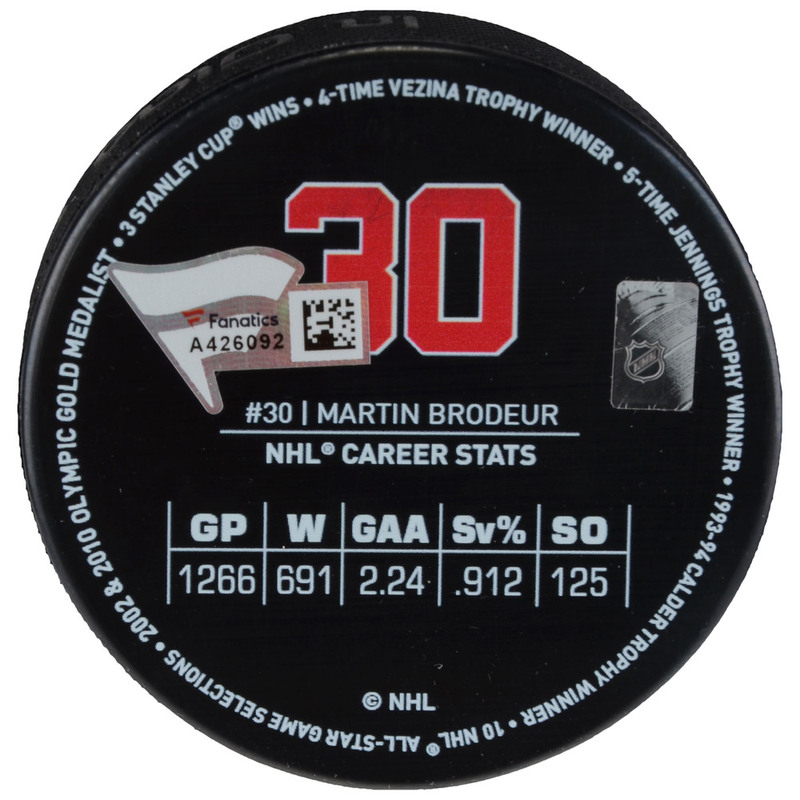 The back of the puck includes Brodeur's career statistics. It is officially licensed by the National Hockey League and comes with an individually numbered, tamper-evident hologram from Fanatics Authentic. To ensure authenticity, the hologram can be reviewed online. This process helps to ensure that the product purchased is authentic and eliminates any possibility of duplication or fraud. Limited Edition 1 of 130. Click here to login and register your phone number for Text bidding. If already registered, text puck4;<bidAmount> (e.g., puck4;20) to +19049901334 to bid.